Thank you for your interest in CDI Electronics Electronic Ignition Service School. We have a dedicated class room for the presentation material and a dedicated engine room ready for hands-on debugging of outboard engines. Lunch is provided for you daily. NOTE: Classes that do not have adequate attendance will be cancelled 2 weeks prior to the class starting and all participants will be notified and given an opportunity to choose a different class offering or be refunded. Due to lack of attendees for our 101 and 301 classes, we will only be offering the 201 Jan. 22-26 class. If the 201 Jan.22-26 class is full, please check back after Jan. 4th to see if additional seats have opened up. Click on the event link to register! Course details are listed below. We have negotiated a wonderful room rate of $80+Tax at our local Four Points by Sheraton hotel at the Huntsville airport. This rate includes a hot breakfast, complete with omelets made to order. Once you have received your Ignition Service School confirmation email, you can contact Four Points at (256) 772-9661 to reserve your hotel room. Just let them know what date you will be staying with them and that you are with CDI Electronics. 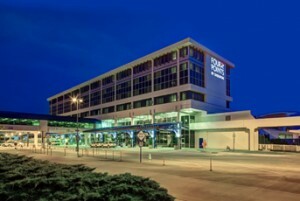 *If you are staying at the recommended hotel, transportation will be provided. Come inside the main front entrance of CDI Electronics and walk directly ahead to our Conference Room. We’ll have signs directing you to the room. We will gather in the Conference Room for the introduction of the class. This gives all of us time to get to know our colleagues. We’ll introduce the staff and instructors, and answer any questions you may have for our Team. 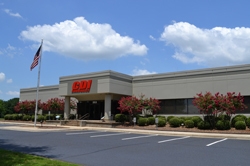 We will then provide a detailed tour of CDI Electronics. During this time, feel free to ask any questions about our parts, processes, and commitment to being the world’s leading ignition specialist. Afterwards, we will convene in the Class Room and begin CDI Technical Institute. The CDI Electronics Team is looking forward to presenting this workshop to you! CDI Electronics must receive notice of cancellation more than 30 days prior to the scheduled event start date in order to receive a 100% refund. Less than 30 day advanced notice will result in no refund. If one of our classes does not meet the minimum number of attendees, you will be notified of the cancellation of the class and given the opportunity to register for one of our other classes being offered.